“I’m a twenty-year-old sailor, but I would identify as an old salt.” says Cooper VonAchen. 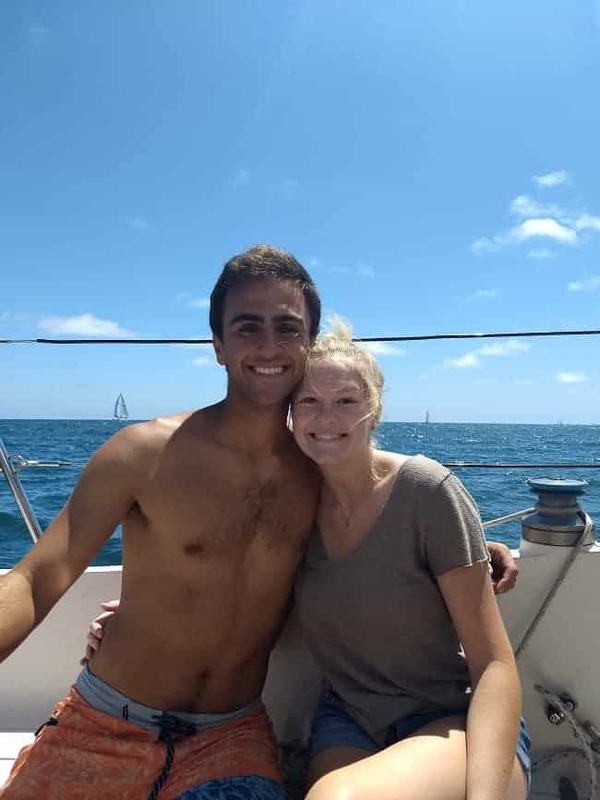 Cooper is preparing to sail from California to Mexico and the South Pacific, but he’s gone about it differently: namely without a big boat, fancy electronics, complicated systems, or even a marine head! 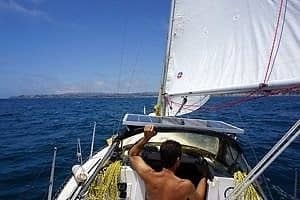 “I preach simplicity and truly voyaging under sail… not your diesel.” Today, he shares how he equipped his small sailboat with old technology so he could afford to go cruising while he’s young. Being only twenty years old, I haven’t had a lot of time to work and save for the ideal cruising machine, “Go small!” people told me. However, I quickly discovered that “small” doesn’t always mean affordable. For example, a Dana 24 is an amazing small cruising sailboat, but you would be hard pressed to find one for under 30K. A 28 ft. Bristol Channel cutter can easily cost upwards of 100K dollars! How about one of the handful of small bluewater boats that fall into the category of “Go small, go simple, go now,” but cost an outstanding amount of money? How does someone young and broke afford one of these “small” sailboats? You can’t. My solution was to go small in size and price. That may sound like complete idiocy; everyone would love to find a sweet little boat and pay next to nothing for it. I bought my Canadian Sailcraft 27, a rugged, wide-beamed, seaworthy design (and the cutest boat you’ll ever see in an anchorage or marina) for 8,000 dollars. I would say that is next to nothing for a small cruising sailboat. 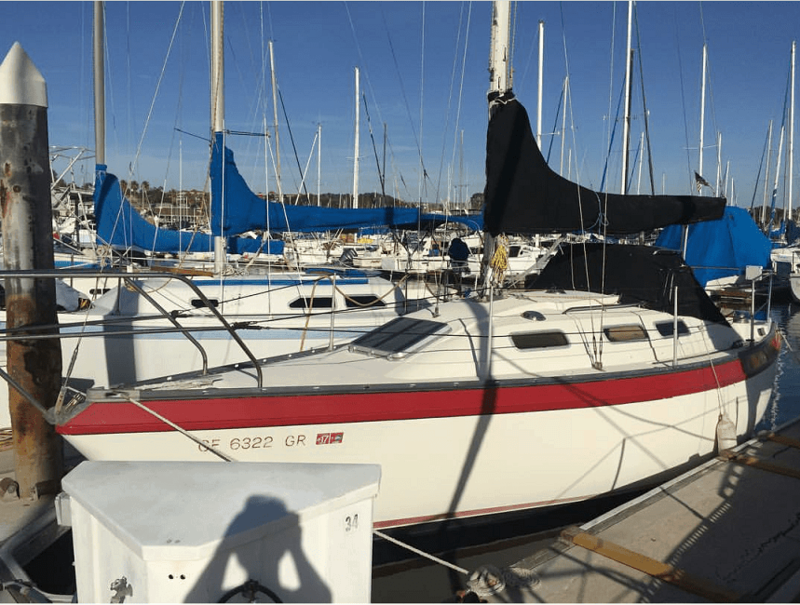 All of her standing rigging is brand new, she has a lightly used Yanmar diesel, there isn’t any delamination or water in the decks, and she came with a full set of sails, including a brand-new mainsail. You can’t ask for much more than that for $8,000. But this took constant searching and looking for a boat that was in my price range and wasn’t complete junk. 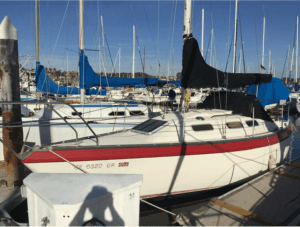 Looking for a cheap sailboat? 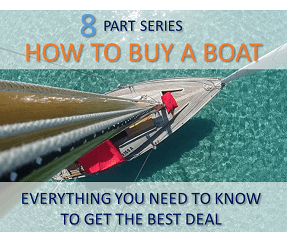 Check-out How to find cheap boats for sale on Craigslist and the best places to look for used boats. This wasn’t a one-off however. There are numerous small sailboats out there that aren’t considered to be bluewater cruisers that can easily get the job done. The Newport 30 MKII is a great small sailboat that has made several pacific crossings to and from California and Hawaii. If it can do that, then why not take it farther. You would be surprised what some of these “coastal cruising” boats are capable of. People have taken homemade rafts across the Pacific for crying out loud. 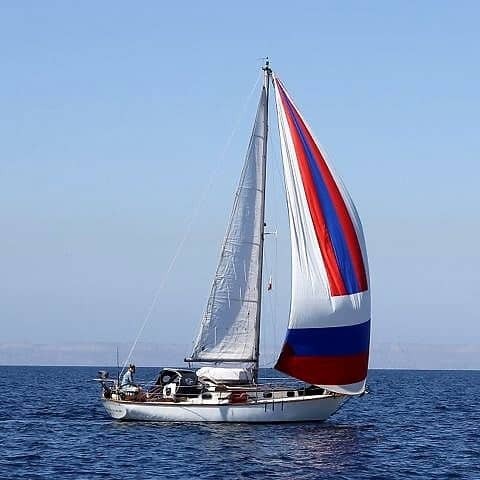 You can take a small sailboat with stainless rigging and a fiberglass hull and do the same thing, with great comfort and safety. Now, the second part of the famous Pardey saying is “go simple.” Simplicity is key my friends. Simple works and doesn’t break easily. Simple will allow you to get to a destination and enjoy it rather than “fixing your yacht in paradise”. Go simple on the electronics. Do you really need a wind indicator, a knot meter, and electronic chart plotter, a big screen GPS, an expensive and power-hungry autopilot? No, you don’t. You actually don’t need any of these things to enjoy cruising. What you do need is good sails, a sound hull, a handheld GPS, plenty of water and food storage, a good anchor with plenty of chain, paper charts, a reliable dinghy, and a means of self-steering. A simple list. Many go small, but few go simple. Editor’s note: Lin and Larry Pardey have written dozens of books on cruising including this classic “Cost Conscious Cruiser” with tons of great cost-saving tips. Think about trying to fix your marine head in an isolated island chain. How do you fix the absolutely disgusting problem of a malfunctioning head and blocked holding tank system? Believe me, I know how bad this can be… and you don’t want to know. I’m not saying rip out your head and holding tank and make a composting bucket head like I did, but just think about other examples. What if your water pump breaks in your galley and you can’t get water out of the sink without siphoning it out of the holding tank? Why not just install manual pumps in your galley and head to eliminate the issue from ever arising? I know this can be a pain, pumping away just to get water out of your faucet, but time not wasted on fixing your boat is time spent enjoying the places you worked so hard to be. Now I don’t need to go into detail on exactly how I outfitted my small cruising sailboat, less electrical more manual systems, because you can just apply this ideology into your own outfitting process. In any place where you can eliminate complexity and cost, do so. Self-steering is a tricky subject. It is very hard not to spend large amounts of money on self-steering gear. Whether it be an electric autopilot, or a wind vane, you are going to spend money on self-steering. Unless you are as crazy as me and just can’t wait until you have the funds to purchase such a device. I went with the sheet-to-tiller method of self-steering. 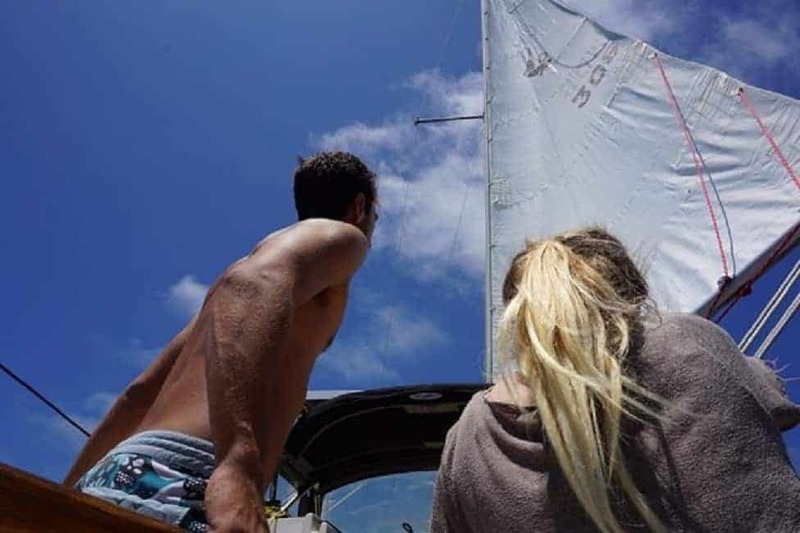 Now you experienced Yachtsman are going to turn your nose up at such an outrageous choice of self-steering gear as there are only a handful of people crazy enough to use this method to steer their boat across oceans. 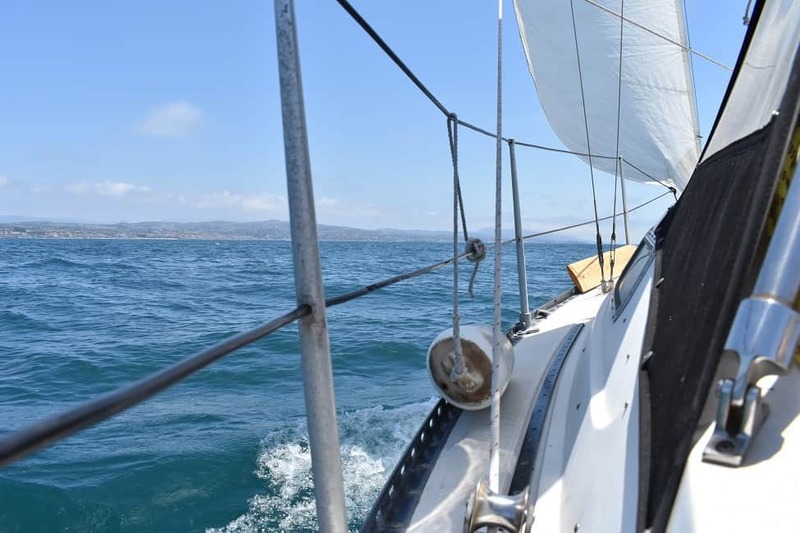 If you do not know what sheet to tiller is, you effectively use the tension in your sails to apply negative feedback into your boat, more or less keeping it on course without anyone touching the helm. This method is wonderful for one reason alone, it cost roughly 100 dollars for a system that can keep your boat on course. Now there are many downsides to such a decision. First, this system only works with a tiller, not a wheel. Second, any time that the power or direction of the wind changes, you are adjusting the self-steering gear. So effectively you have to adjust your boat every hour or so to keep it on course. That means if you are single handed, you only really have an hour at a time to sleep at night during a crossing or an overnight sail. 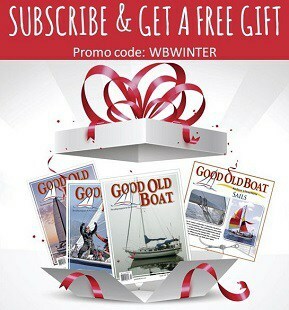 t forces you to sail your boat more, which if you enjoy sailing, is not such a bad thing. Many cruisers would also like to talk about dinghy choice, hard or inflatable? Outboard or rowing? But what do you think I chose? I chose a hard dinghy that can row well. Cheap Outboard motors break down constantly and good luck finding parts in remote atolls. Oars don’t stop working. A hard dinghy can take a beating and continue to float and get you and your crew to shore. Inflatables spring leaks and need to be patched all the time. UV radiation can deteriorate the fabric of inflatables causing you to replace your tender every couple of years. That does not fit into my philosophy of simplicity. Editor’s note: We used a rigid Costco Kayak as our tender for our entire 8 month Pacific Crossing. Inexpensive and indestructible! I think you can extrapolate the rest my outfitting process just from my self-steering choice alone… minimal. I only chose exactly what I will need, not what I want, or what will make life as easy as possible, but what will give me the most time to enjoy cruising. 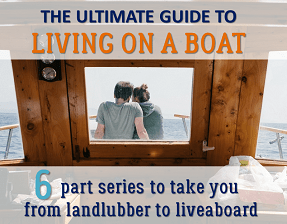 Because if you are working on your boat or working to pay for it in the first place, you will never truly enjoy what the cruising life has to offer because all of your time is being eaten away by what many would consider vital necessities. The last point is, you guessed it, “go now.” When you look back on your life, you won’t ever sit back and wish that you had worked more. Life isn’t about working to buy things, life is about leaving what you know behind and immersing yourself into the world. For me that is a small sailboat and traveling across oceans. For some, it is a van and seeing what the road has to offer. For others it might be to move your whole life to a new city for love… All I can say is go now! If you plan to sail across oceans, you can probably do so on the sailboat you have, or maybe there is a small cruising sailboat out there in your price range, that with the right mindset and patience, could take you to far off ports and tropical islands. You would be surprised what you and your boat are capable of. "I'm a twenty-year-old sailor, but I identify as an old salt." says Cooper VonAchen. 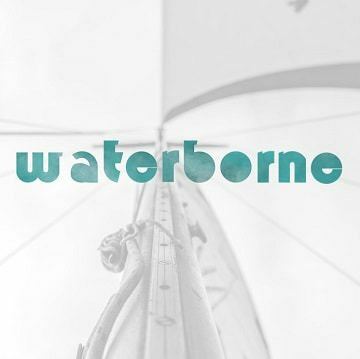 He shares how he bought and equipped a small sailboat for bluewater cruising.